When I heard about “The Battle of Surfaces” tennis exhibition match I was thinking to myself this can’t this be possible? The organizers of this match however have pulled off this once in a lifetime match up pitting the world’s top two players Roger Federer and Rafael Nadal on tennis court featuring two different surfaces that each of them are undisputed in! The venue Mallorca Spain, the hometown of current world number 2 Rafael Nadal. One tennis court made half or clay and half of grass. Initially I thought this was just a gimmick, just like the time Federer and Agassi played on a synthetic court on the Dubai helipad. But after going to “The Battle of Surfaces” official website and watching the video of the half clay, half grass tennis court I was rather intrigued by the possibilities of who is better or at least who would be able to adapt more quickly to the change of surfaces. My best bet for this match would be Federer, as Nadal strikes me as a player who specializes on just clay courts but Federer is more of an all rounder. In my opinion, if there was no Nadal in his way, Federer will easily pick up his Roland Garros title that has eluded him since. Federer however this year hasn’t been exactly the pillar of confidence and strength that he has always been on court. Federer was beaten twice in weeks by Cañas who had just come back from a long layoff after a doping ban and had just conceded the Monte Carlo title to Nadal a few days ago. Nadal is already sending a very strong signal of his intensions of making a hat trick of 3 Rolland Garros titles in a row and his intension after the Monte Carlo match was very clear. On the European red clay, Federer will have his job cut out for him. I personally feel that “The Battle of Surfaces” challenge, although an intriguing prospect would be better enjoyed and appreciated more as a game of exhibition tennis. I don’t think either Federer or Nadal would be taking this match seriously, as Federer himself remarked that he will be more laid back with this match. The risk of injury is very real, as these are two completely different contrasting surfaces to play on and on the wide end of the spectrum. If it were to be hard courts and clay courts instead, they at least would have shared some similar characteristics compared to that of grass which is easier to make the transition. Switching from one surface to the next might have drastic consequences; one can risk injuries due the extreme changes of the surface. Furthermore, they would have to play very extremely different games then they are used to playing and vary their games accordingly. As mentioned before, the player who will win this match is the player would is able to adapt to the situation more quickly. Even on their favored surface, they will be returning to a different surface and receiving on another. I will be tough in my opinion to get any groove or rhythm to the game. The constant changing of sides will not help the players as well. My biggest question is that would they have to change shoes as players wear different shoes for grass and clay tennis courts? (difference between clay court and hard court shoes here). I think what would have been more interesting would be to have something like a year end tennis Masters Cup event, but each of the players will have to participate on all 4 different major surfaces. Hard court, Grass court, Clay court and Carpet/Synthetic. The most adaptable and consistent players will have to compete on all 4 different surfaces. The winners will advance to the next group advance to the next group. A half clay, half grass surface like the one on the Battle of surfaces event just does not make any sense and adds a gimmicky element to this challenge. We’ll just have to wait to see what eventually happens in the exhibition match to eventually comment on “The Battle of Surfaces”. The Regentville condo tennis team traveled away for the first leg of a two leg friendly match against Regent Grove condo based Choa Chu Kang North 7. It is within short walking distance to the Yee Tee MRT Station. Although heavy rains threatened to sideline our friendly tennis match, we were fortunate enough that it stopped and the sun came up just in time to assist with drying up the courts. Regent Grove condo had very nice courts which were located at the top of the 5th story multi storey cark park very similar to that of Regentville condo. The courts were partially sheltered from light rain and sun by a cloth/canvas meshing material held up by a structure at up at the back of the courts. Since it was still raining at around 4:45pm, I was concerned that we would have to postpone the match to a later time or cancel the entire match all together. Luis the organizer for Regent Grove condo however still informed me confidently that the match was still on which puzzled us slightly as I was wondering how could we possibly manage to dry the courts in time? When we all arrived just shortly before 5pm, the courts were still very wet but the rain had just stopped and the sun was out. We proceeded to dry the court, it was only then I realized why Luis was confident that we could try the courts very quickly. Regent Grove condo has 3 tennis courts sitting side by side and on each side of a tennis court, there were these big drainage holes that drained the water downstairs. So therefore, we would not encounter any problems with wet balls of patches once the water was totally drained from the tennis court. I think it took only like 15 minutes for the courts to be completely playable. In the end, we were only around half and hour or so behind schedule before the first match started. Snapshot of the Regentville Tennis Team. We had a total of one singles match, two mixed doubles matches and a handful of men’s double matches. Since we had a very large group, the match was played in a race to 6 games where Ad rules apply. At 5 games all, a tie breaker will be played to decide the eventual winner of the match. The Regent Grove tennis players consisted of an ALL Filipino expat group based here in Singapore. There was only one Singaporean player who was in their team, and he was a former Singapore National Player and coach Hock Chai. A handful of the Regent Grove condo players were also members of the local Filipino Tennis Club whom our Filipino Regentville players were already acquainted with and it was nice to know that they were playing having a friendly game against their fellow country men here in Singapore. Like the Regentville condo players, Regent Grove condo also has a large number of tennis players so we were able to have a number of matches. A handful of these matches were tough and our opponents were really good, we had a couple of close matches which was very good as it tested the resolve of both teams. It was a very good learning experience for us having gotten a chance to play with many seasoned players who had experience playing tennis at a competitively such as Jojo and Hock Chai. We were honored to have the opportunity of having such seasoned players playing with us. On behalf of the Regentville tennis team, I would like to thank Luis and Richard the organizers for Regent Grove condo for hosting us and being such wonderful hosts, as well as all the Regent Grove tennis players who came down to make this even a huge success. We look forward to the return leg in May where Regentville condo will play host this time round. We had a fun filled weekend of entertaining tennis and made many new friends in the process. More Photos of the Regent Grove versus Regentville Tennis Friendly Here. Great News for local tennis fans and enthusiasts in this region. The current world's number 2 and number 3 players Rafael Nadal and Andy Roddick will play in this year’s Thailand Open South East Asia's premier tennis event held at Bangkok's massive Impact Arena Muang Thong Thani. With the likes of Paradorn Srichaphan and Danai Udomchoke who have already confirmed their attendance this year’s Thailand Open promises to pull in more fans to witness this premier event in South East Asia. Brit Andy Murray has already signed up but it is not known whether the defending champion James Blake of USA will return to defend his crown. 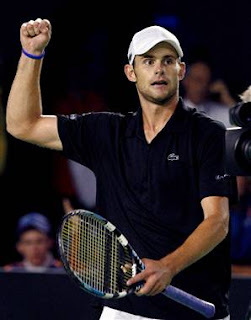 More information about Nadal and Roddick playing in the Thailand Open found here. My greatest question is whether the Swiss master will return this year. Roger Federer the 2004 and 2005 Thailand Open champion pulled out last year to defend Swiss pride as Switzerland had to play the Davis Cup World Group playoff to remain in the World Group. Federer did just that by keeping Switzerland in the World Group. It is no secret that Roger likes to come to Asia to play and he has constantly said on several occasions that if his schedule permits he will like to come to Asia to play hopefully he returns this year to contest of the Thailand Open 2007 crown. I am however both thrilled and relieved that the Thailand Open organizers have managed to attract big names like Rafael Nadal as well as Andy Roddick. A Rod was the losing finalist in 2004 against Roger Federer and I am sure that he would like to go one up this time to capture the South East Asian tennis crown in Thailand. This will be the first outing for 2 time Roland Garros champion and current world's number 2 Rafael Nadal to the Far East. I foresee The "Spanish Bull" to be a major crowd puller to this event and have many fans here in Asia. His presence will be just as good or maybe even better as having Roger Federer around. In my review of last year's 2006 Thailand Open, I noted that although the Thailand Open organizers managed to bring in some bigger names Roger Federer was a missing and it showed by the drop in attendance and fan fare. Nadal's participation this year will be a huge affair considering his popularity here in Asia will bring in record crowds. It will be nice if Federer decides to contest for the Thailand Open crown this year and the possibility of having to see a repeat of the 2004 finals the World's number one and number two players playing in Asia to a huge sellout crowd. I however would like to congratulate the Thailand Open organizers for pulling off a major coup by managing to get Nadal and Roddick to sign up for this year’s 2007 Thailand Open. My only hope now is that all of them stay fit and do not have any commitments that might make them pull out of the tournament. This has happened on many occasions in many cases these are due to unforeseen circumstances so I will have to keep my fingers crossed for them to finally make it to Thailand. I remembered something funny happening at last year's Thailand Open somebody in the crowd shouted "Vamos" the trade mark cry of the Spanish Bull Rafael Nadal. If all goes well, we will hear this famous cry from the man in person!